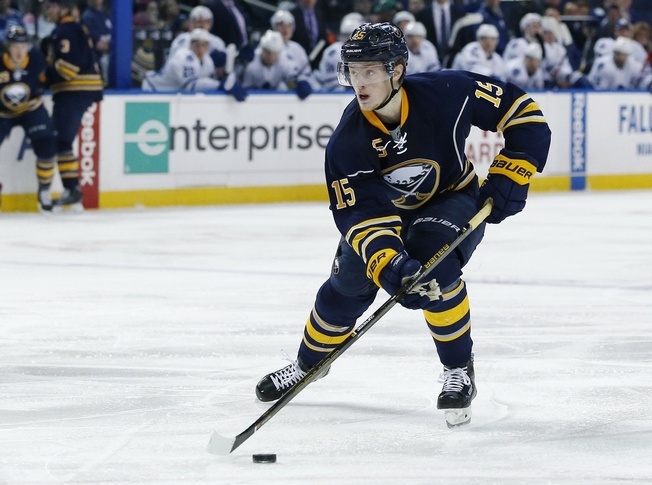 The Buffalo Sabres will have to start the 2016-2017 season without Jack Eichel. The team’s leading goal-scorer last season injured his ankle on Wednesday. He got tangled up with Zemgus Girgensons during a power play drill at practice and fell backward. The Sabres didn’t give a timetable for his return, but some media outlets are reporting that he could be out four to six weeks. The 19-year-old had 24 goals last season. But the injury puts Eichel’s mission to lead the Sabres back to the playoffs on hold. The club is looking to return to the post-season for the first time since 2010-2011. Buffalo is already contending with injury issues, with Kyle Okposo out with a bruised knee and Ryan O’Reilly out with a lower body injury. Luckily, both players returned to full practice on Wednesday and that could spell good news for the near future. The Sabres have also seen injuries to defenceman Dmitry Kulikov and Zach Bogosian during training camp, but both players returned to practice on Tuesday. The Eichel injury will particularly hurt, though, and the team will have to make adjustments in his absence. While the usual statements about coping with adversity will make the rounds, the Sabres have to admit that losing a key piece this early in the season stinks. And it does.